Hello! It's Reagan from Tunstall's Teaching Tidbits and I am excited to share fire safety ideas to make learning important fire safety procedures both fun and academic. 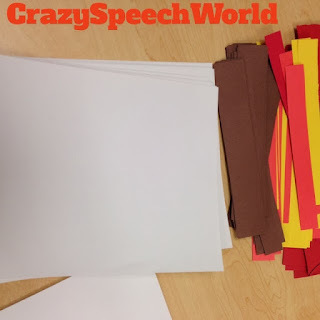 For a morning activity, our students made these easy sentence strip fire fighter hats so they could show their respect and enthusiasm for our local firefighters. We just gave each table a couple of tracers in the shape of a fire hat front and some red construction paper. Here are more ideas for your fire safety day/week! 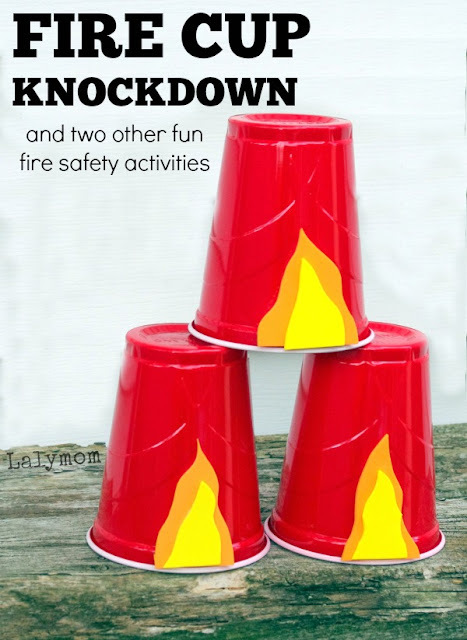 I love this cup idea from Lalymom. To make this academic, I would cut up some math story problems or worksheets and tuck them inside each cup. Students have to "put out the fire" by completing the activity in each cup! How fun is that?! This is a wonderful vocabulary/writing idea from crazy speech world! 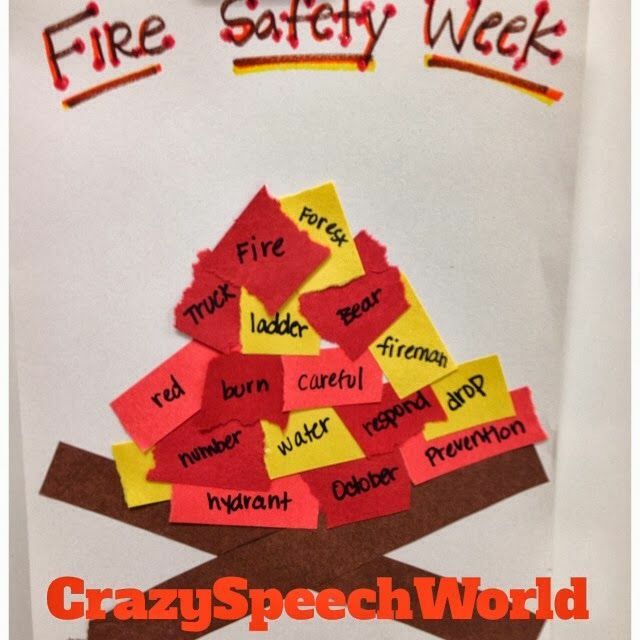 Each student makes their own fire out of fire safety vocabulary! I love this! In my classroom last year, we did a shared writing story. Because students have so much interest in this subject it makes the perfect writing springboard! I read a fire safety book and then asked if anyone had ever touched anything too hot before. Hands shot up across the carpet. Then I engaged them in a shared writing story. Each student wrote a different sentence while their classmates wrote it on a whiteboard and helped spell. 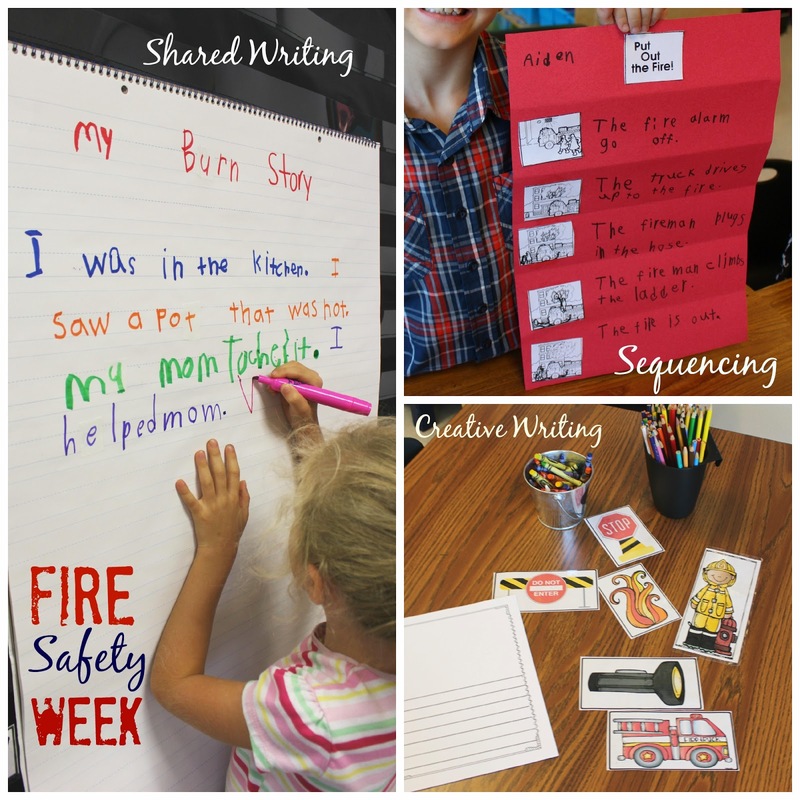 We also enjoyed using fire safety cards and activities from my engaging writing units. Possibly our favorite activity was a little sequencing activity we did as a class. Here's how it went. Grab this sequence activity here free. 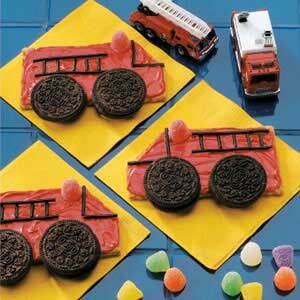 Here are some fun food activities and videos to really round out your fire safety week! 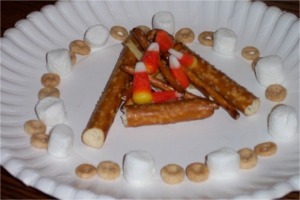 Here are some videos to play with your students as you complete a hands on fire safety activity like the food activities.